The 2013 goal list – with the red circles indicating completed projects. 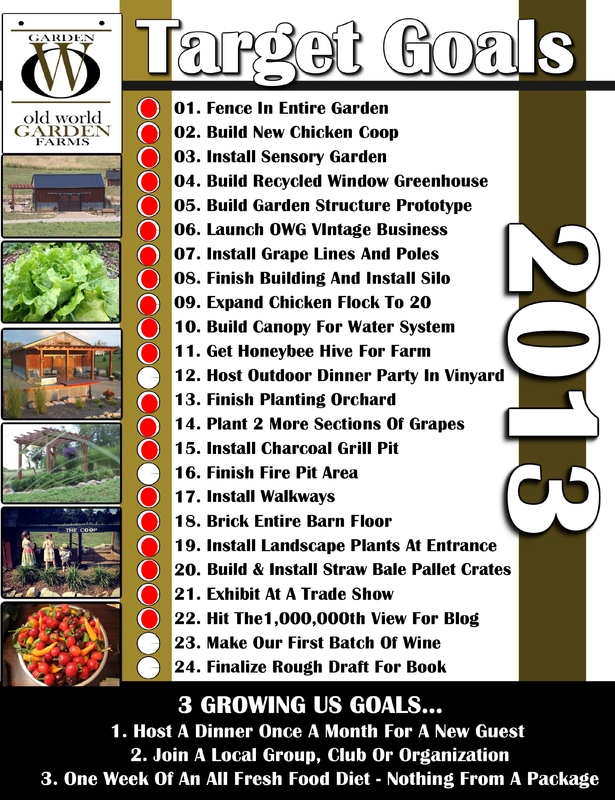 As the new year approaches, Mary and I have begun to create our 2014 “To Do List”, or as we like to call it – our Target Goals for the farm. We follow the same procedure every year – each creating an independent list of 24 goals for what we feel is important to continue the dream of building the farm. We attach a number to rank the significance of each goal – and then sit down and read them aloud to each other. It’s amazing to see each year how similar our goals are – and how close we were to ordering the importance of them. But we always seem to have a few goals written down the other did not – so we then work together to come up with the best 24 (two for each month) – and a plan to accomplish them for the new year. This will be our third year for the list – and putting our goals down on paper has been a tremendous help to making sure that we put our dreams and hopes for the little farm into action. Once completed, we post the goals on the refrigerator for us to see every day – and to mark them off as we complete. Just like the old saying goes, out of sight means out of mind – and posting not only keeps them fresh on our minds – but serves as encouragement as we see things start to get crossed off the list and get accomplished. But before we begin to create the new goals for the year – we always take a little time to review the previous list to see how we fared. We first look at the things we were unable to accomplish – and decide if it’s still important or not. 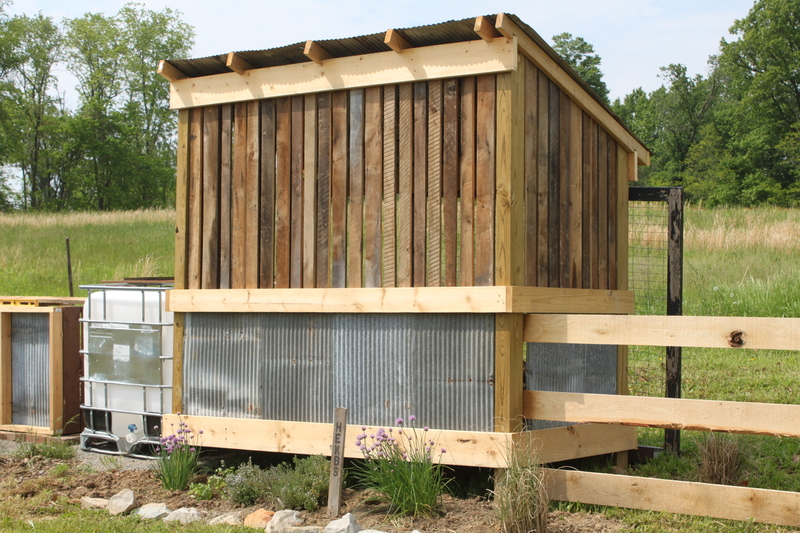 Like life, building the farm is a fluid operation – and things that once may have been a priority can change. Our little review makes sure that we account for that in the new list. This year we were able to get 20 of the 24 crossed off – the most important being the new chicken coop, expanding the flock, adding the bees and getting the Sensory Garden project under way. I think the most suprising was getting our 1,000,000th hit to the website. We really thought that one was shooting a little high when we made it last year – but we somehow ended up with over 2.3 million to this point, and are not quite sure how! 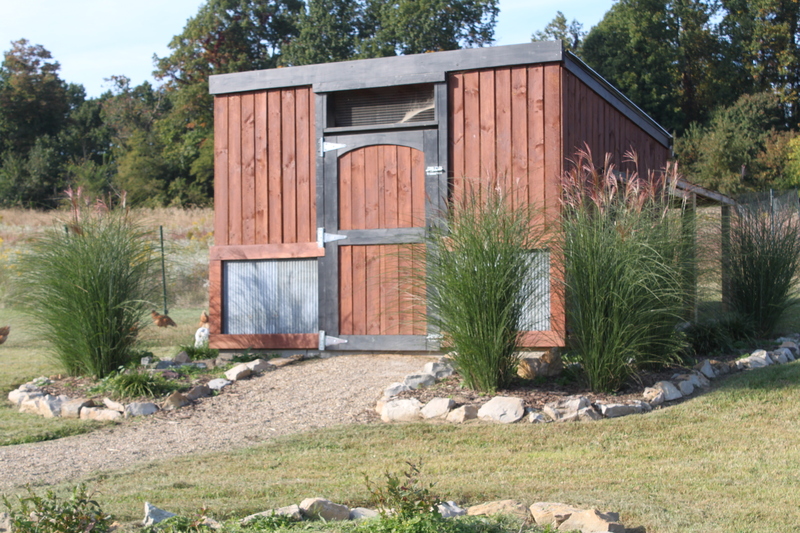 We used old barn boards to make the slats, and of course, more old metal siding to match the barn and coop. As for the dinner party and wine making – we hope to accomplish those as well this year – especially since the vineyard pergola is now built and the grapes should produce enough at harvest to dabble in our first batch of wine making. The book, excitedly, is now underway. For the remainder of the goals for the new 2014 list – we both have begun to create our own list. 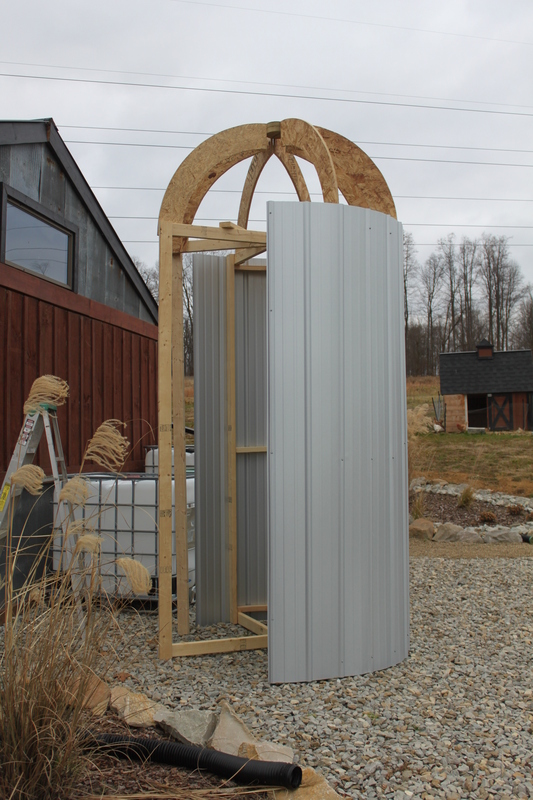 I know high on mine is the cabin project and the building of a root cellar – and I am sure Mary has a few good ones already in mind too! One of our favorite accomplishments of 2013 was the addition of the beehive! We will sit down a few days before New Year’s Eve and combine to create the 2014 plan – and the fridge will have a new list for the new year!